I believe there is reason you are here, reading this right now. There is an increase in the amount of people that are being called to this path. Warriors of Light are feeling an inner yearning to reconnect. It is a deep echo of where we came from and how our new existence will be. There are many of us that have contracted to be a representative of our lineage to assist in activating codes of light for others. You know if you are one of these because the call is strong and you may have felt guided your whole life by this inner beckoning. The how is not as significant as the knowing of when. As a representative, you will have a tribe of individuals to assist. Your part is to activate the remembering inside them at precisely the right moment. This is often hard to explain but impossible to ignore. Often, you will feel drawn to someone and feel as if you’ve known them before. You feel a sense of purpose being around them and synchronicities will start unfolding almost immediately upon meeting them. You may have experienced this from birth as many of us do. Perhaps, it is such a normal experience, that you often take it for granted. We are not a group of chosen elite or more special than others. We are just called to do a certain job. If anything, we are servants of the light, willing to do anything to expand the light into the darkest of spaces. Some of us may just have an agreement to be in the right place at the right time, to help activate codes for one person. Whatever the case is, you hear the call and that is what is important. It is not an option. It is just what is. I am sharing a story of my latest healing session because I believe it may be helpful to others on their journey. It is important for us to share our stories and keep trusting our process even if it seems to be taking us into unusual places. I just went with it, not fully understanding what was transpiring. Then, this happened the next day. I had a Shamanic healing session today. My intention was to heal my left knee and bring in and embody my Higher Self that I tap into while in deep meditation. My left knee was injured years ago. It was injured first while dancing and then again hiking in the Grand Canyon. The injury stayed with me about six months and then got better until 2010, which was 6 years later. I had a healing session on it and realized it was surfacing as a fear of walking forward in life. I’d just started mentoring with my current Shaman Teacher, Ashera, and things started moving extremely quickly. We were able to clear it. It moved a few months later to my right knee. Now it is back in my left knee, which started about a month ago. That was when I recommitted to work with Ashera for my final three months of training. Interesting. We cleared it in the session and this morning the pain was gone. She began the session checking my chakras which were all in balance except the 5th & 6th. She began clearing my throat chakra. I began yawning, coughing, and exhaling deeply. It felt like there was something very thick, almost solid, and it was stuck between my heart and my throat. I coughed and hacked until I could feel it moving. I started exhaling with vocal sighs until it finally cleared. Then something beautiful happened. I noticed a sweet aroma in the room, like fresh baked sweet bread. I inhaled the sweetness as I became aware that there was a presence in the room. It was an ancient, loving and wise being. I instantly got the image of an old grandmother. She was sitting on my right side. I instantly felt safe with her next to me. She had dark skin and long dark hair. I wasn’t sure of her nationality. Then, in my mind’s eye, I got the message Hopi Ancestor. I tried to keep my analytical mind out of it. I just sat with her and felt nurtured. I also felt extremely honored to be in her presence. I continued to exhale any residual energy coming out. I asked if she had a message for me. I didn’t hear anything but immediately felt the energy of a star. It felt like a person but I just knew it was a star. I’d never had an experience with a star like this so I kept my doubting mind out of it. I just allowed it to happen. It came from in front of me and up to the left. It was beaming light into me and around me. It felt like love in the form of light that flowed like liquid. I was filled with longing…a type of homesick feeling. I was reconnecting with an old friend. I began to cry tears of happiness and profound love. It also felt like remembering something beautiful that I’d left behind years ago. I asked the Star Being if it could show me the next step in embodying what I came here for. I saw the blue bracelets and my bare feet on dirt of the earth. I could feel the Earth Goddess energy feeding me through my feet, moving me into a dance. It was coming from her and through me. The Star Being showed me how the Earth was breathing life into me to be moved through my life, one breath at a time. I really got it. I was still releasing vocal sighs and singing. I was humming a tune the grandmother was lending me. The sound was filled with magic. Then, my mind jumped in with doubt and the song stopped. Ashera began doing a journey to the Upperworld while rattling. I continued to receive light and teaching from the grandmother, the star, and the Earth. I could feel shimmering light wrapping around me. As Ashera came back with an aspect of me from the Upperworld, I felt a wave of aliveness entering me. She said it was ready to come in. She had seen this aspect in an earlier journey, but I wasn’t ready to receive it before. It was there, but it wasn’t trying to come back. I remembered her telling me about an aspect of me that wasn’t ready to come back yet. She told me to be patient. I did feel ready for this immersion, she was right. As this warrior aspect entered, I could feel it settle in and look around through our human eyes. She was delicately beautiful yet strong. I knew her intimately. I could feel my body moving, like my veins were being filled with new substance. My cells were being restructured. I just knew I was being changed. I felt like a flower essence, being distilled from the inside out. It wasn’t scary at all. None of it made logical sense, but I wasn’t too concerned about that. It just felt right. I understood exactly who I was. Ashera said it came in to present me with an initiation. I was crowned and bejeweled with the Star Essence which was me. I could feel all of this. I knew I had been given a sacred gift and an honor. I knew I was ready, I welcomed the otherworldly magic of all of it. I asked the warrior if she would continue to guide me. I could feel her becoming an integral part of my human every day life. I asked the grandmother if she would stay with me. She smiled as if she was amused by my question. I thanked them both and thanked my Universe for such beauty. After the immersion, Ashera told me a story of the Q’ero Andean Shamans. She said they spoke of all of us coming from stars. The Inka believe a new day is dawning. The doorways between the worlds are opening holes in time that we can step through and beyond, where our human capabilities propel us to heights never experienced before. We have the knowledge to craft new physical bodies that age differently, heal differently, and that possibly may never die. These bodies offer us the opportunity to step beyond the world we have known, where we can once again embark on our journey, returning to the stars. “Look with the eyes of your soul and engage the essential,” is the teaching of the Q’ero. 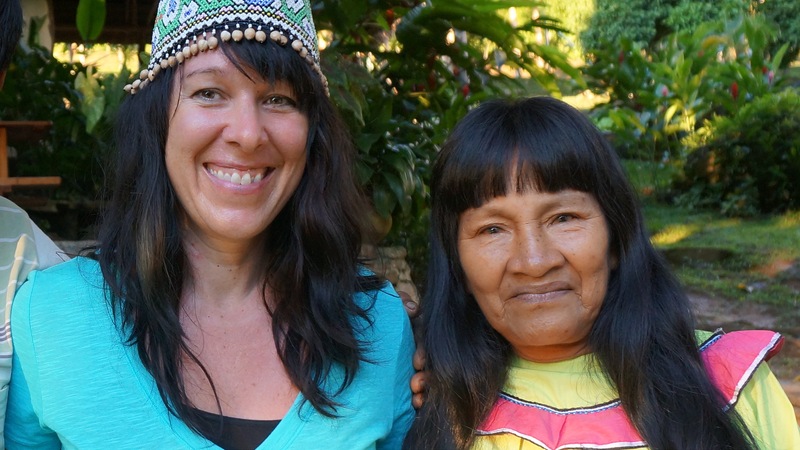 If you feel called to work with a Shaman, there are few things to keep in mind. Find an experienced Shaman that is connected with a lineage of Shamans that have passed the teaching down purely from generation to generation. There are Shamans that practice black magic with an intention of greed and jealousy. These individuals can do more harm than good. It is essential that you trust the source of the teaching. It is essential you listen to your heart. This is not a path of mind but of pure heart. This is the Teacher I work with. 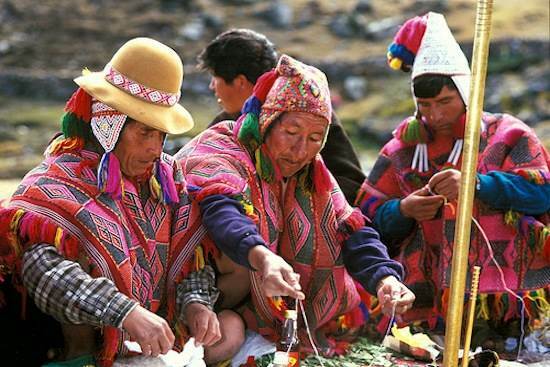 She has been training with the Andean Q’ero tribe in the Sacred Valley. She has 18 years of experience with this work and has a high level of integrity in all that she does. 2. Know your level of commitment to this path. There is a reason you are reading this, but I do not recommend dabbling with this type of work. In my experience, once you set a foot on this path, it can move very quickly so be ready. Set clear intentions before you start a practice. They can change later as you grow and evolve, but having clear intentions will keep you safely on track. 3. Trust the process. It will unfold in mysterious ways. Once you make the choice to answer the call, it will start guiding you. Leave doubt behind. It no longer serves you here. Know that whatever answers you need will be given to you exactly when you need them and no sooner. 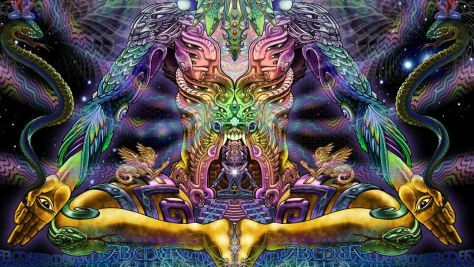 To read about my experiences with Ayahuasca, click here. Thank you so much for sharing, Elizabeth. May your life be full of expansion!